To end the doubts that ‘hang’ in Ponta do Pargo, due to the closure of the Church Road, in the area of ​​Amparo, Miguel Albuquerque ensures that an alternative route will be built. 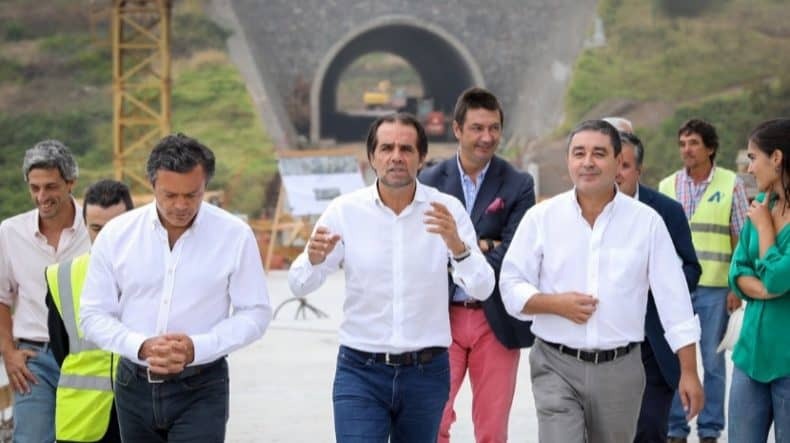 “The road is momentarily interrupted due to the work, but it will be replaced by an overpass,” said the President of the Government this morning during a visit to the works of the expressway between Fajã da Ovelha and Ponta do Pargo. The chief of the Madeiran Executive, who hopes that the work will be completed by the end of the first half of 2019. It should be noted that the expressway will terminate at Amparo, just at the beginning of the parish of Ponta do Pargo, a source of discontent for the rest of the population who would like to see this route extended. In that regard, the President of the Government said that this will be an issue to “consider in the next Government program”.